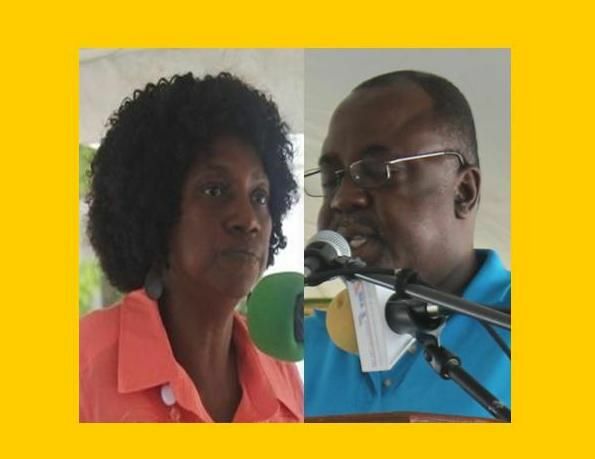 There has also been a call for the removal of Chief Agricultural Officer (CAO) Mr Bevin Brathwaite and Deputy Chief Agricultural Officer Mrs Arona Fahie-Forbes from those offices as they are allegedly ‘sour grapes’ sitting at the head. This news site spoke with several farmers who said they were too frustrated to participate in the Farmers’ Week activities this years because they feel that they are being disrespected and shabbily handled. But while others were not bold enough to come forward to go on record, prominent farmer Ms Moviene F. Fahie was quite the opposite. “The Chief Agricultural Officer has his favourite farmers who he is interested in, who he likes and who he hates. But I think we need to stop that kind of behaviour in the BVI because when you continue with this kind of behaviour it’s going to destroy the country,” said farmer Moviene F. Fahie in an exclusive interview with this news site. “I don’t see why a person should hate a person for doing good. You should be encouraging me to do more and to teach the young people… that Department needs a lot of guidance, it needs the right people and once you don’t get the right leader for that ship it’s going to get worse,” she added. “In the past we use to look forward to seeing the farmers having a great time together but since Mr Qwomar leave that office there hasn’t been proper leadership. When you don’t have a good captain for a ship you end up on the reef and right now the guy who they have there, he is not a person that is fit for the job right now,” she said. Ms Fahie stressed the importance for the Virgin Islands to be very self-sufficient, which she firmly believes is very possible. She noted that one of the reasons for the spiraling cases of cancer patients is because of the large number of chemical foods that is being consumed in the Territory. On a local radio programme aired yesterday February 1, 2015 as recorded at the second day of the Farmers’ Week exhibition, one farmer was very candid in his deep hurt for the manner they allegedly continue to be disrespected as farmers. The man said that it is time farmers stand up to the relevant authorities and demand better treatment. “Farmers should take a stand and use their constitutional rights, where we are tax exempt, to make us demand the respect as farmers representing our position in our country." The farmer’s main grievance was his alleging that the dates for the Farmers’ Week activities was changed at short notice mainly to suit the whims and fancies of the Minister for Natural Resources and Labour Honourable Kedrick D. Pickering who he alleged did so to accommodate his traveling schedule. “He can’t violate the people like this saying that he has to travel and everything got to get off-set to suit one man, thousands got to get-off set to suit one individual, that just aint right or fair and it’s too ugly,” said the farmer. 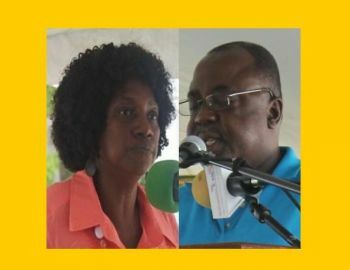 “This is a total disrespect by the National Democratic Party (NDP) government because I understand that [Myron V.] Walwyn (Min for Education and Culture) tried to do the same thing with the August festivities and these traditions are older than any of us… so if the leaders are disrespecting this why should the people respect the ‘misleaders’?” the farmer rhetorically asked. “We are hurt because we are disrespected as a people, we travelled a long journey to reach here, and then we must just have our misleaders just putting their foot on us because they think they are above we and I want something to be done to correct these ministers because they can’t just keep doing this and no kind of rule to put them in order,” added the perturbed farmer. “….they think they could trample on we, we is Kunta Kinte again,” he stated. The thing was not advertised! Government should step aside and tell the farmers put on their showcase, let me see how that would turn out. I should have been Minister, I would have called their bluff long time. lawd ah mussy ayo too much! When ever we ask for a little aid to help us get our farms together, we are told that there is no money. So how come there is money to fence and maintain big tracks of private land. The way things are going now we might as well close down that Department. Another swipe at Myron. Let us talk about the Auditor General Report on Youth Affairs and Sports. More corruption under VIP! We have the SCBay Habor Report, Green House Report, Youth Affairs and Sports report and yet they pretend as if nothing is happening. Let's hear about the real news man! The people of the BVI didn't come out and support the festivities but it's the Government fault. The only way people will attend is if a big band is playing, why they pretending like they give a damn about culture. Blame Government for the poor turnout. lets go back as far as when the youth and sport affairs was running under Rob Chalwell and minister black...we will unearth alot of things but we will never know! Just look back at the three years of the NDP; this ceremony and participation have decline each year…what does that tell you about this government and the so call robust economy…set of cowbirds just obsess to spin things and keeping their head in the sand!!! I am certain that the people at the top getting good advice from the people at the bottom. They are been ignored, the man in the office never listen to the man in the field. Why? listening, taking advice, can solve a lot of problems. and the Church said Amen!!! What does Bevis know about Agriculture? How come Mrs Forbes is not the Chief ah??? Thank you . for thinking. Farmers ,if you want to farm,farm. Join together and farm. Put on your show. Sell your produce. Have a farmers coop. Pool your resources,and do what you love doing. I am not quite understanding why Gov is being blamed. So the Minister decides to go ,why should the dates of the activities be cancelled? I am not saying that your complaints are not justified, I just do not understand why the Gov is your leaning post. By the way, Farmers Week was like a best kept secret. No advertising, no reminders nothing. I happen to hear a taxi driver mention it.